Got to wondering today how good the crimps are from my (expensive) Greenlee crimper. I've actually got two of them: a big one, for AWG8 to AWG 4/0 cable, and a smaller one which is for AWG8 to AWG2/0 cable. Both made in Germany to a good standard. These have rotating dies which you set to the proper wire size. Looks like a solid copper rod. Conclusion: the crimper does a pretty good job. I crimp a lot of heavy gauge cables and use a 12 ton hydraulic crimper for 1/0 to 4/0. I did a crimpectomy on a 4/0 crimp and found a solid copper rod that I dare say is air tight. I'd love to own tools like that but I'd never be able to make it pay for itself. How many crimps would a person have to make before the tool would pay for itself? I used to think like that, but now know better. A good tool will pay for itself many times over....in revenue, in peace-of-mind, and in satisfaction for doing something right and not needing to worry about it again. These are both the larger model and are used, and apparently in very good condition. In these terrible economic times, one can often find bargains on used and new tools...bargains which will pay off for many years to come. I bought a heavy pair from Genuinedealz and spent a shade over $200 for them when I did all the battery connections last year. They did not pay for themselves in per crimp costs (if I had GD do them before shipping the cable) but they did pay for themselves in time saved and getting things how I wanted them. The right tool can be a huge difference in the project.
! Way cool post and pics ! Now I run to the shop and find such a cool tool. Mine is not quite a match. I've used those GreenLee crimpers for years when I was a commercial electrician. Never had a problem. But then I never dissected one like you have for a boat wire crimp. Great pics and info. Thanks. Buy good tools once or cheap crap over and over again. Funny Bill I've done the same thing.. Please belay any thoughts of one-up-man-ship (( ) but have you tried to polish the cut end yet. 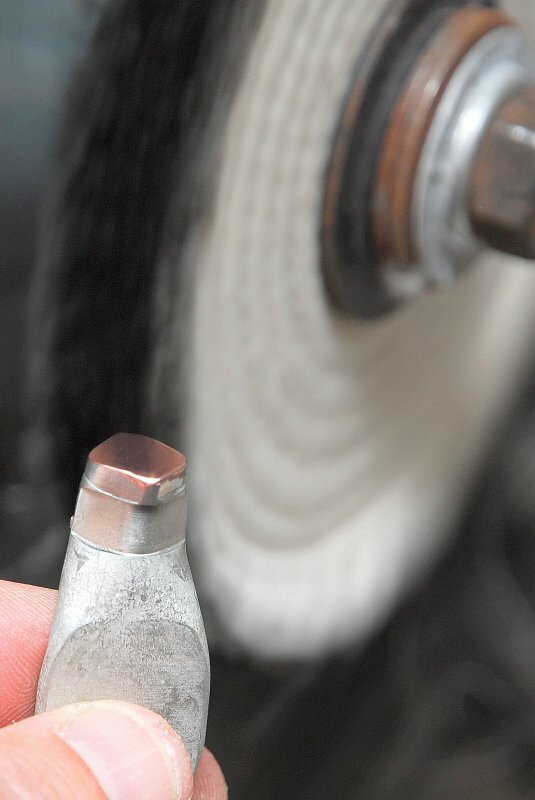 Many years back when we were crimping large cables in power supply rooms (don't recall the size but about 1.5 inch diameter), some the workshops guys carried out a similar "Crimpectomy" and then polished the cut end - highly polished I must add. The result when viewed through a instrument microscope was that the individual strands could just be seen BUT were now all hex shaped rather than round. With the power of magnification that we had available, no air space could be determined but with a higher magnification - who knows. Suffice to say that if the dies can reform all the strands to a hex then one would think the air might be squeezed out, especially between the crimp wall and conductor. And it would be difficult to see how soldering this crimp could improve it; where would the solder flow into. Maybe time for another experiment - anyone???? Ya know that phrase rings in my head every time I buy a tool. My Grandpa (Tool & Die maker) pounded that into my head from a very early age. Some of the fondest memories I have as a kid were watching my Grandpa making tools in his workshop. Thnx for the links on e-Bay Bill, I'll keep an eye on those. So far I've used the anvil type crimpers. Yes I know I'll get grief from you all but so far after 30 or so crimps I've yet to have on fail. 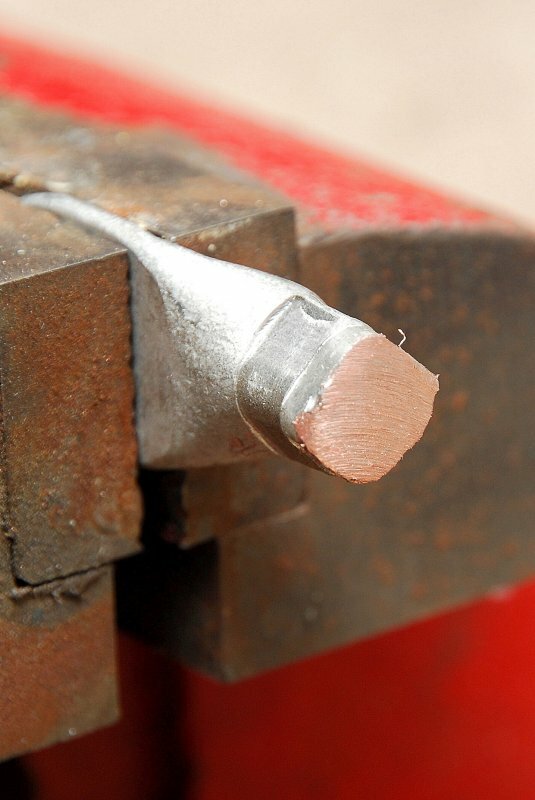 I don't hammer them like the tool was designed, I stick it in the 8" bench vice and squeeze the crap outta them. I haven't done a cimpectomy on any but I have hung my ever so impressive 240 lbs from the ceiling on one. I thought that was a decent torture test for a crimp. I might do a crimpectomy on one today if it's still raining. I suppose if I went door to door offering my services as a cable crimper I might get the tool paid for in a couple of years!